I couldn't imagine how lucky teens are now a days. The advent of technology has certainly made life a lot easier for them. Gadgets are being manufactured and developed here and there, and all have the same promise, and that is making life easier and automated. Aside from that, teens now a days, are very entertained with these new gadgets. 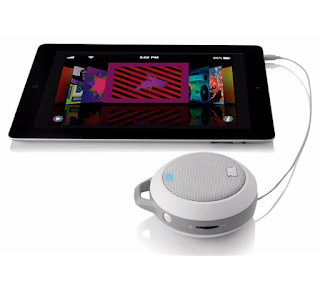 They can watch latest movies online, play computer games, use Apps and play music just wherever and whenever they want just like this jbl micro ii which is built for the long haul. Now, I could see that you really have to work too hard to afford buying these gadgets for your kids especially that they never get contented unless they get the latest model. This, I think is the only downside of all these modernization. Kids are being slaves of consumerism even at an early age. As a parent, it is indeed very important to strike a balance and guide our children so they would understand that advancement and technology has it's own pros and cons.